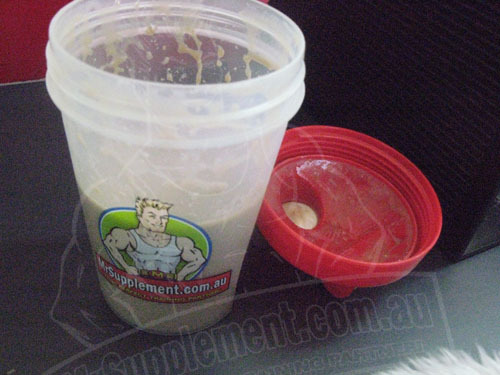 WPI (or whey protein isolate) is a form of whey protein that has been processed in such a fashion that many of the impurities such as carbs and fats are removed from whey. This results in a higher purity whey protein that has more protein per gram and is faster absorbed compared to a whey protein concentrate. This makes WPIs the superior form of protein for bodybuilders who want the more out of their proteins. Where Does WPI Come From? WPI comes from whey protein, which comes from milk. There are many production techniques that can be used to make WPI, and these have been covered in detail in our "Choosing the Best Protein Supplement" article. Each of the benefits of whey protein also applies to whey protein isolates. Because of the high purity of WPIs (over 80%), they are often the whey protein supplement of choice for exercise nutrition scientists. Consequently, WPIs are one of the most well studied supplements available. Two good examples of the benefits of WPI have been demonstrated by Cribb et al (2006) and Hayes & Cribb (2008), who explained that WPI supplementation increases strength, lean gains, and aids in recovery. People suffering from lactose intolerance experience side effects from consuming dairy products such as whey protein. However, WPIs contain very little lactose as a result of the processing involved with producing a high purity WPI product. Consequently, WPIs are a viable whey protein supplement suitable for people suffering from lactose intolerance. One potential downside of WPIs is that because of the high level of processing, many beneficial nutrients are removed along with the unwanted fat and carbs. Bioactive compounds such as growth factors and glycomacropeptides may be removed depending on the particular isolation technique (Huffman & Harper 1999). However, this effect can be counteracted by some manufacturers fortifying their products to reintroduce lost nutrients. Furthermore, this additional processing result in a more expensive end product compared to whey protein concentrates. Although WPIs are likely to be suitable for the lactose intolerant, they are still not suitable for people with milk protein allergies. Thus, WPIs should be avoided by those who suffer from milk allergies. Outside of this group, WPIs are completely safe for consumption within recommended guidelines. WPI is best taken immediately post workout at a 30 g serve. WPI can also be used throughout the day to meet your recommended protein intake per day. However, as WPI is relatively expensive, it may be best saved for use only post workout. WPI can be found as a stand-alone protein powder. It is also a common ingredient in blended protein powders, weight gainers, and pretty much any other variety of protein powder. Pretty much any supplement that contains protein has the potential to contain WPI. One thing to make note of when shopping for WPIs, is that although raw WPI may contain very close to 90% protein, it is unlikely for a finished product to contain this amount of protein because of flavours, sweeteners, and other additives diluting the product. Therefore, beware of manufacturers that claim their WPI products contain over 90% + protein. A more realistic genuine protein percentage would be in the 84-90% range. WPI can be stacked in the same way as any other protein supplement. Please read our article on "How to Stack Supplements" for an in depth coverage of ways to stack protein supplements.